On Christmas Eve I finally got into the spirit, sang a bunch of Christmas songs, and got crafty. I made a cake and decorations for my tiny, barren tree. This would be my first white Christmas in almost 20 years, so obviously the theme would be snow. I love snow! Remember those snowflakes that you cut out in grade-school? Well, if not, I'm here to remind you. All you need are some pretty sharp scissors and some printer paper. This layout makes 4 medium and 3 small snowflakes. 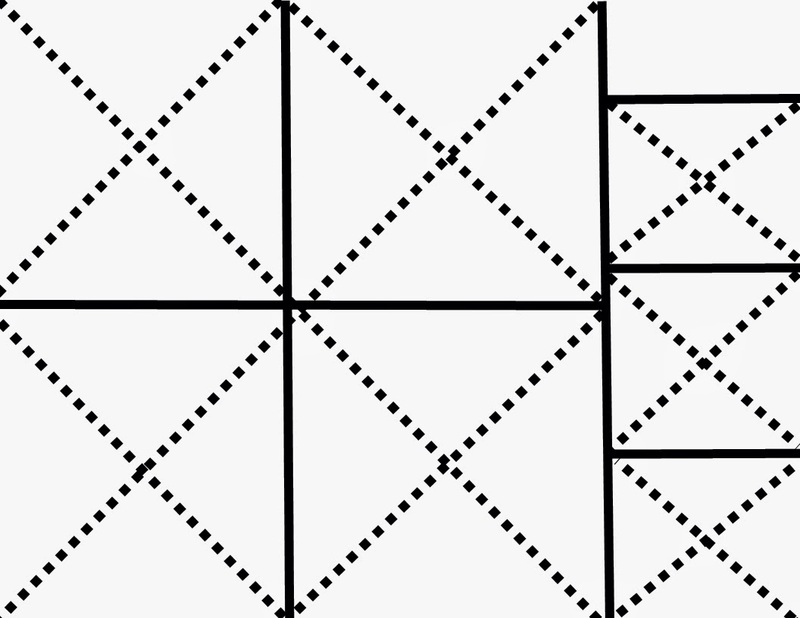 Fold on the dotted lines and cut the solid lines. I find it easier to fold all the lines and then cut. You can fold the squares as many times as you can in the square diagonal pattern, or you can fold out from the center however you want. If you fold the square in half and then into thirds you can get a six pointed snowflake instead of eight points. Anyway, just fold up those little suckers into long thin triangles and cut shapes along the folds. Be careful not to cut all the way through! The more rounded you make the top of your triangle the more circular your snowflake will be. I used this recipe, omitting the bar chocolate and one egg, since my eggs were very large. The baking time was less because I used the round pan, too. To decorate, get out some red and green paper, or color the paper yourself with markers or pencils. Cut out the holly leaves and and roll bits of red paper into berries. 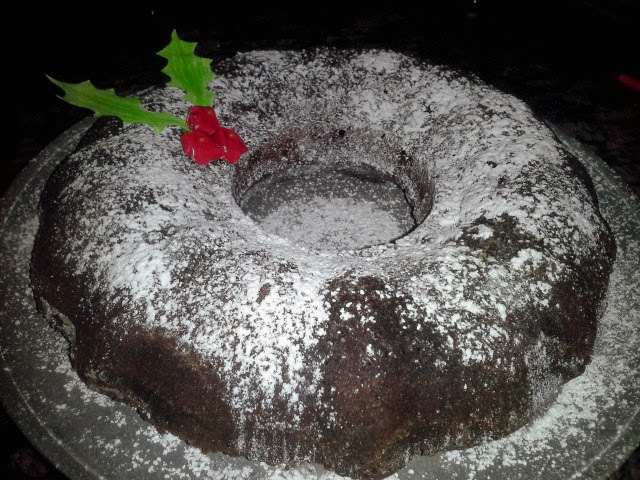 Dust with powdered sugar to evoke the snowy feeling and pin on your holly berries. Hope your Xmas was full of cheer and snow! That rum cake looks soooo good. Thanks for sharing the recipe you used! 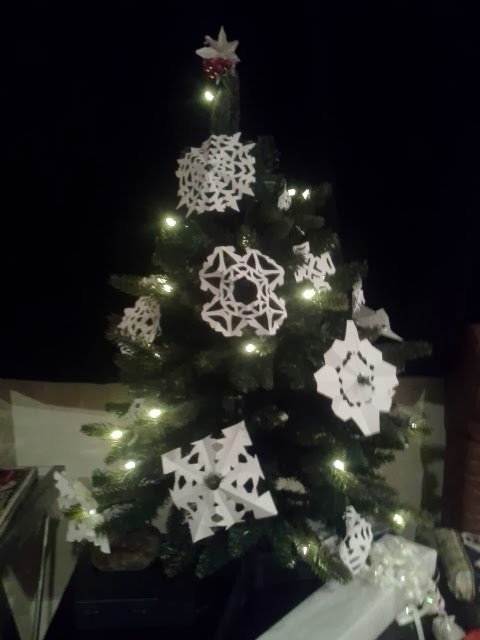 I like the idea of making different sizes of snowflakes. Can't wait to make mini snowflakes with the keiki now - great way to experiment with symmetry :). 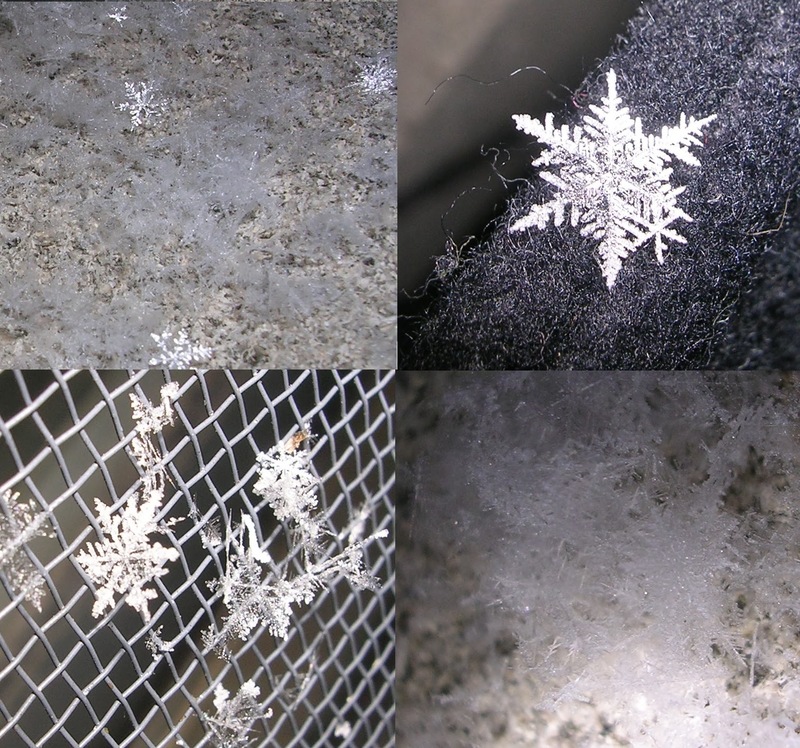 <3 the snowflake pics too. Aaaah, I miss snow! Don't leave this cake sitting around like a real rum cake, though. It will harden pretty fast. I hope you and the little guys had fun with the scissors. Thanks! I want to make more...they're a little addicting.